You need to know how to go from the airport to your hotel? Which is the best tranport for you in Paris? How much will your travels in the Parisian area will cost? This page will give you all the information you need to have a great time during your journey thanks to the different transports! If you are coming or leaving on the plain, you need to get an airport ticket. This ticket will help you link the Parisian area to Paris Charles de Gaulle airport, Paris Orly airport or Paris-Beauvais airport. Depending on your departure point, your destination and the transport you choose, the ticket will cost from 1.90¤ to 17¤ (1 ticket = 1 trip) and the travel time will last from 6 min to 1h30. 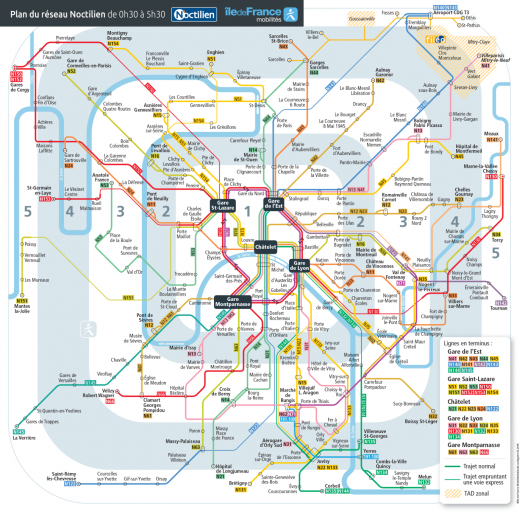 Check the map of the Paris airport transports. 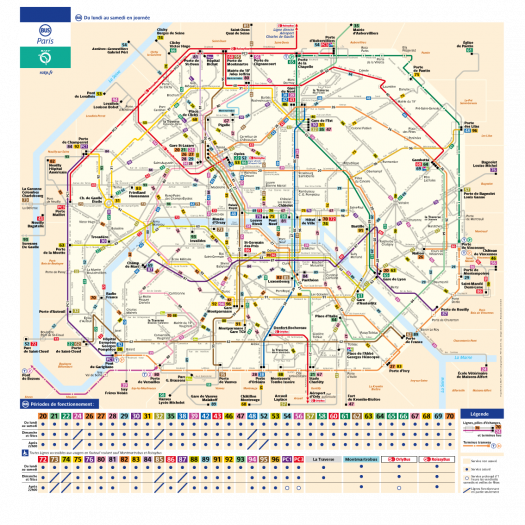 If you still haven't booked your hotel, you can look at the accomodations available near metro line 13, the hotels close to line 9 or rooms around the RER E.
All of the Parisian public tranportation system is run by RATP. To travel in public transports during your vacation, you can decide to buy a T+ticket or use a Paris Visite travel pass. Other types of tickets are available but they are less interesting if you are visiting Paris for a limited time. Paris Visite an unlimited travel pass for 1; 2; 3 or 5 days in the whole of Paris and its region with all type of public transports. It costs 38.35¤. In general, the first metros start at 5 :30 am and stop at 1 :15 am between Sunday and Thursday and at 2 :15 am on Friday and Saturday. The RATP metro lines cover the whole of Paris and are extending their network in the rest of the area mostly in order to be ready for the Olympics in 2024. By the way, it is possible to visit some of the metro construction sites. 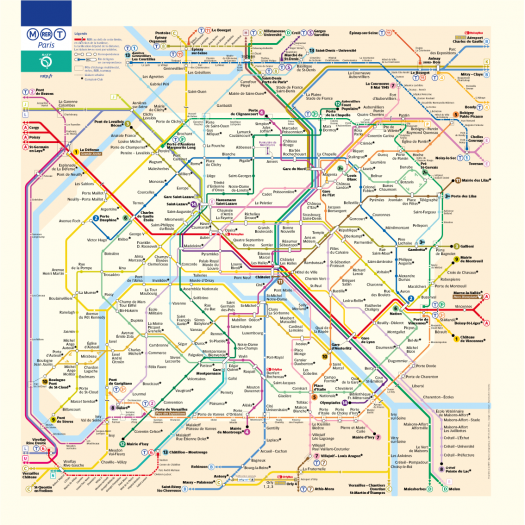 Check the metro, tramway and RER map to move freely all around Paris. Tramways are practicle if you wish to travel in the city’s outskirt, which also has lots of interesting sites and activities to offer. For instance, T1 goes to the Basilica Saint-Denis, a gothic art masterpiece that also turns out to be a royal necropolis. 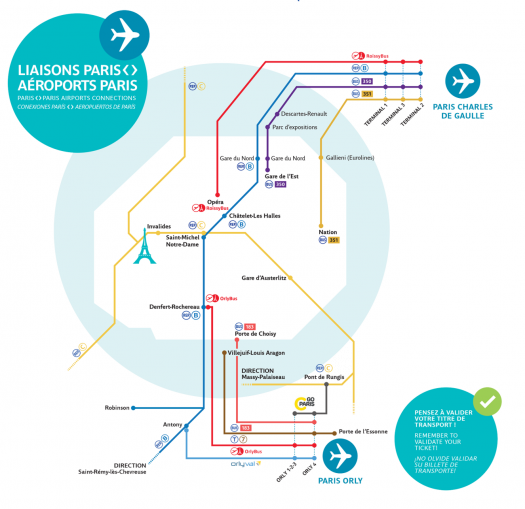 Look at the map to see what type of trips you can do in and around Paris. Buses are the best choice if you want to travel and visit Paris at the same time. With the 64 lines, buses cover a big area and will make you discover lots of different landscapes. Buses operate from 7 am to 12 :30 pm for the main routes (the other ones stop at 8 :30 pm). Then the Noctilien service takes over. Here is the bus map. You prefer being free to stop where and whenever you want ? Soft Mobilities are then the best option for you. In Paris, you’ll find loads of bike stations where you can rent a vehicle for a specific amount of time and money. For example there are Vélib’, which are the public service or there are private bike rental services like Jump (by Uber), Obike or Ofo. Moreover, Paris is heavily developing its cyclepath network. If you really really like cycling, there are very nice cycling itineraries along the water in the Parisian North-East. Otherwise, you can choose to ride a scooter to go wherever you want in the capital. They can be found on the pavement, left by previous users. If you are not confident with vehicles, you can just walk to enjoy the atmosphere of each distrcit you go through. Check all our walking tours around Paris. There are lots of car rental points : Paris Charles-de-Gaulle airport, Paris Orly airport, Le Bourget airport, Gare du Nord, Gare de l’Est and many others in Paris and its area. You’ll also find scooter rentals near thes points. Metros stop at 1 :15 am or 2 :15 am denpending on if it’s the weekend or not. Then you can count on Noctilien, which is a night bus service that operates from 0 :30 am to about 5 :30 am. Here is the Noctilien map so you know where you’ll party all night!